The Gold Philharmonic was first minted in 1989. The coin quickly gained in popularity. In 1990, it was the best-selling gold coin in Europe. In 1992, 1995, 1996, and 2000, the Philharmonic was the best-selling gold coin in the world as declared by the World Gold Council. It is one of the few gold bullion coins minted in two different currencies because of the Austrian Schilling was replaced by the Euro in 2002. The obverse of the coin features pipe organ in the Vienna Musikverein’s Golden Hall. The reverse of the coin depicts some of the instruments of the Vienna Philharmonic, including Vienna horn, bassoon, harp, and four violins centered on a cello. The design of the obverse and reverse of the coin was designed by the chief engraver of the Austrian Mint, Thomas Pesendorfer. The Vienna Philharmonic is 37.0mm in diameter, 2.0mm thick and contains 1 Troy oz of .9999 gold. 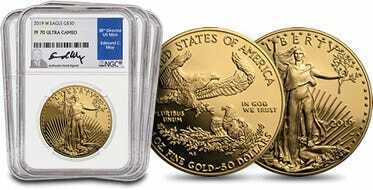 The value, much like any bullion coin is based on the precious metals content and the current spot price. The Philharmonic is minted each year according to demand so population fluctuates from year to year. The actual design of the coin never changes, making the only difference from year to the next is the actual year of issue. To commemorate the 15th anniversary of the Gold Philharmonic bullion coin, the Austrian Mint created a 1,0000 ounce version with a nominal value of 100,000 Euros. The coin is affectionately named the “Big Phil” has 31.103 kg of pure gold. Big Phil is 10 times thicker, 100 times wider, and 1000 times heavier than the 1 oz. coin. In 2007, the Royal Canadian Mint created a 100 kg version of their Canadian Gold Maple Leaf with a face value of $1,000,000 Canadian dollars that overtook Big Phil as one of the largest coins with the highest denomination for a minted coin. In the spirit of the 15th anniversary, there were 15 Big Phils minted. 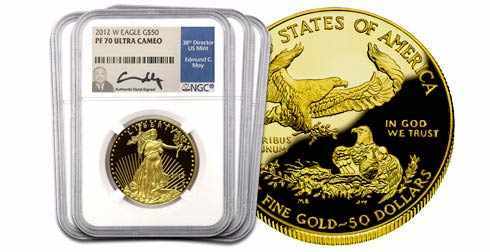 There were fewer than 100,000 Gold Philharmonic bullion coins minted in 2006. 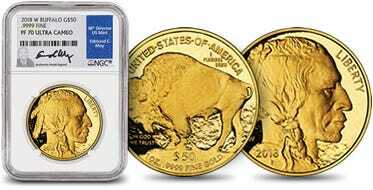 In more recent years there have been over 300,000 bullion coins minted each year. From these numbers, investors could infer that the demand for gold bullion coins has gone up considerably since 2006. The Vienna Philharmonic was founded in 1842 and is widely regarded as one of the finest orchestras in the world. It is based in the Musikverein in Vienna. Members are selected from the Vienna State Opera after a strenuous consideration process, including three years performing in the opera and ballet. Europe’s finest orchestra is a distinction that the Vienna Philharmonic earned in 2006. In 2008, it was ranked third in the world. There is a six year wait list for concert subscriptions of weekday shows and a thirteen year wait for weekend concert subscriptions. Day to day decisions for the Vienna Philharmonic are left to the twelve elected members of an administrative committee.